David Cameron, UK prime minister, abstained from the vote, which was called by an opposition MP, and Cameron’s spokesman earlier said that foreign policy would not be affected whatever the outcome. 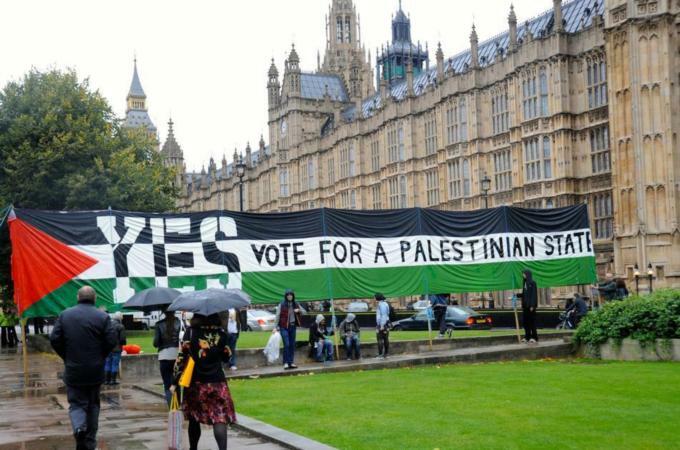 However, the vote was closely watched by Palestinian and Israeli authorities who are seeking to gauge European countries’ readiness to act on Palestinian hopes for unilateral recognition by UN member states. 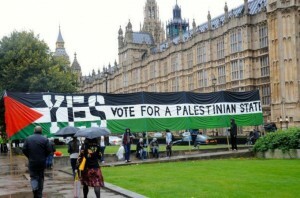 The final motion, which passed by 274 votes to 12 at the House of Commons, the lower house of the parliament, stated “that this house believes that the government should recognise the state of Palestine alongside the state of Israel as a contribution to securing a negotiated two-state solution”. The vote comes just as Sweden’s new centre-left government is set to officially recognise Palestine, a move that has been condemned by Israel, which says an independent Palestine can only be achieved through negotiations. Meanwhile, fresh clashes erupted in East Jarusalem on October 13 when hundreds of Israeli police forces raided the al-Aqsa mosque compound and clashed with Palestinian worshippers. Protesters in East Jerusalem and Israeli forces have recently fought almost nightly with Israeli security forces.